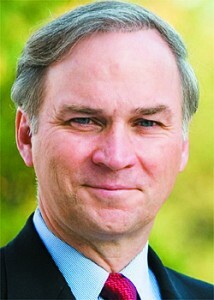 Congressman J. Randy Forbes (VA-04), founder and Co-chairman of the Congressional Prayer Caucus, along with Congressman Steve Scalise (LA-01), Chairman of the Republican Study Committee, have led 85 Members of the House of Representatives in defending legislative prayer before the Supreme Court of the United States. The Second Circuit ruled that, despite a highly inclusive prayer policy, public prayer before town meetings in the town of Greece, New York was unconstitutional. The court based its decision on perception rather than policy, ignoring the fact that the town’s prayer policy allows any volunteer to provide a prayer before meetings, including individuals of no faith. In addition to the brief filed by Members of the House, briefs were also filed by 34 Senators and 23 State Attorneys General. There is currently a three-way circuit split as to the proper standard for evaluating legislative prayer under the Establishment Clause. The Eleventh Circuit has applied the standard set forth by the Court in Marsh v. Chambers, 463 U.S. 783 (1983), prohibiting judicial scrutiny of legislative prayers absent evidence of advancing or disparaging a particular religion. 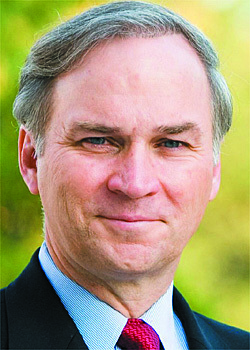 However, the Fourth Circuit’s decision hinged on the effect of the prayer, despite any policy in place, and the Second Circuit’s decision analyzed legislative prayer under the “reasonable observer” analysis of the endorsement test, County of Allegheny v. American Civil Liberties Union, 492 U.S. 573 (1989). Forty-nine former and current Members of the House of Representatives signed an amicus curiae brief in January, asking the Court to take the case and reverse the Second Circuit’s ruling. Members of the Congressional Prayer Caucus will continue to defend legislative prayer as the case is pending before the Supreme Court.